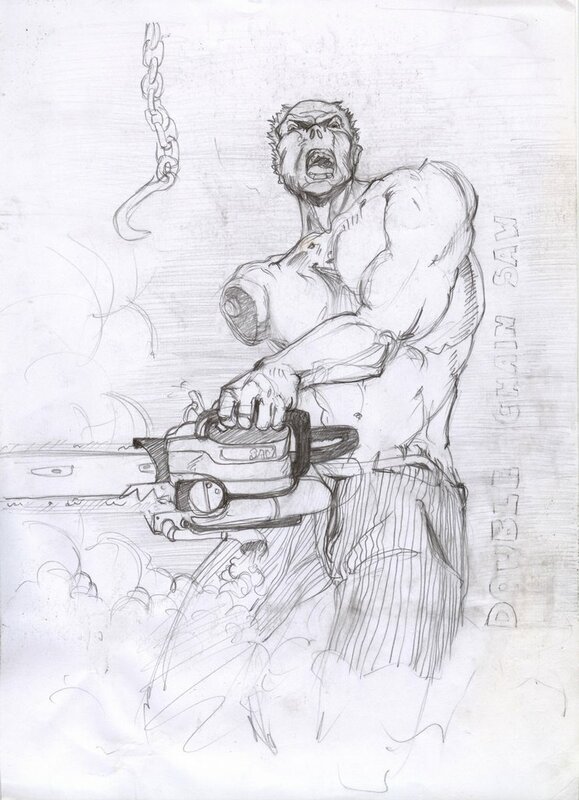 Fan art for the 2003 Texas Chainsaw Massacre. Just thought it was cool to draw a guy naked from the waist up, with a freshly cut hand, menacingly holding a running-polluting chain-saw. Had never occurred to me, prior to this movie, that a chainsaw could ever be used for murder.